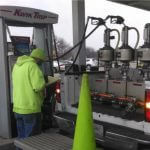 A calibration technician performs accurate calibration of fuel dispensing meters to ensure that the meters will pass inspection by local Weights and Measures officials. 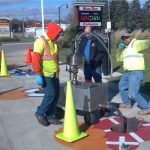 This position also performs proper inspection, testing, and maintenance of equipment at gas stations and commercial fueling facilities. METCO provides all training. Perform the process of adjusting a metering device in a fuel dispenser so that the volume of fuel actually dispensed and the volume indicated by the meter are within tolerances set by the local authority having jurisdiction (Weights and Measures). 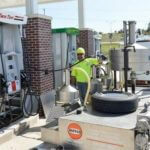 Perform compliance inspections of storage tank and fuel dispensing systems. 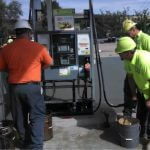 Test pipelines, line leak detectors, tank monitors, cathodics, and hose continuity. 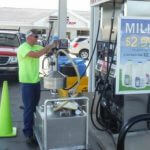 Assist with installation of dispensers, submersibles, tank monitors, tanks, piping, etc. Work safely in accordance with METCO guidelines and OSHA Standards. Read, analyze, and interpret regulatory standards and manufacturer recommendations. Overnight stays will be required most of the time.